Your heart is where you integrate that which you learn and absorb intellectually with that which you learn and absorb experientially. 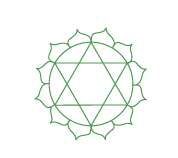 The Heart Chakra is the seat of unconditional love. Through love and acceptance of yourself and others, you practice unconditional love. Learn more about Chakra energy balancing. Welcome to Wholesome Junction, where like-minded and like-hearted people come together to share our gifts and elevate the vibration of ourselves, our families and our communities.! My name is Kathryn Hill and I am the Milwaukee energy healer behind Wholesome Junction. The "wholesome junction" of every human being is their heart! Your heart is where you integrate that which you learn and absorb intellectually with that which you learn and absorb experientially. It is the integration of the spiritual and the physical. Where the upper chakras connect and bring depth to the lower chakras. It is the wholesome junction of our lives. Webster's Dictionary defines junction as a joining or being joined. Aren't we all looking to be joined with another through relationships? Think of the happiest moments in your life. Were you alone, or were you joined with another? Wholesome junction is where we acknowledge that we are seeking to be joined with another, but in a very real and honest way. No games, no kidding! To establish a true wholesome junction with another, you must establish a wholesome junction within yourself. How do you do that? It happens as you learn to make your heart the center of your life. Learn to listen to yourself, your gut. What are you made of? How do you tick? What are your needs? Your strengths? Your weaknesses? Listen…Love yourself! Milwaukee energy healer services from Wholesome Junction seek to encourage you to become the person you already are. Love and acceptance of yourself is the first step to gaining love and acceptance of others. Love and acceptance is where you will find peace within and peace in your relationships. You have come to Wholesome Junction today because you have arrived at your wholesome junction! You are ready to embark on this journey of loving and accepting yourself. You have arrived at that doorway of your soul and are ready to walk through, into your heart. Learn more from my love and acceptance tutorial video. Breathe the power of emotions into your thoughts and actions. Your heart is where empathy is developed. Empathy is love and acceptance of others. Empathy is what determines your emotional quotient. These days in order to excel in any area of your life, you need to develop not just your intellectual quotient (IQ) but your Emotional Quotient (EQ). There have been criteria developed to measure your EQ, just as there have been criteria in place for many years to measure your IQ. My Milwaukee energy healing services incoporate the secret of developing empathy and a high EQ: learning to be in love and acceptance of yourself so that you can then be in love and acceptance of others. Every effective spiritual discipline has Love and Acceptance as the core of their teaching. To get to the very core of your emotional problems and begin the healing process I work with a new healing modality called the Emotion Code. The Emotion Code is a powerful and simple way to rid yourself of unseen baggage; in the Emotion Code this baggage is known as trapped emotions. Releasing trapped emotions often results in the sudden disappearance of physical problems, self-sabotage, and recurring relationship difficulties. With my Emotion Code training, intuitive wisdom, practice in Chinese Medicine and years of experience with energy healing, I am able to locate your trapped emotions with precision and accuracy and remove them with a few strokes over your head with a magnet. Forgiveness is the key to open the door to your heart. Forgiveness is the answer to almost every problem you may encounter. You need to care about how you feel, and start feeling good. Love and acceptance and appreciation are identical vibrations. When you are in love and acceptance and appreciation, you attract people with these qualities into your life. You cannot fake your point of attraction. Things happen to us that cause us to question. Will we choose to open our hearts, and embrace change? Or will we decide to hide behind our securities of our patterns of life and ignore those inner promptings? Those inner promptings are your intuition trying to guide you on your way to freedom-the freedom of a new perspective and change. We need to be willing to try on a new pair of shoes when the old ones are hurting our feet. As a Spiritual Life Coach and Milwaukee energy healer, I can guide you to begin listening to your inner direction. What you think and what you believe is what you create in your life. You can follow your intuitions into greater understanding and change in your life. I am located in Milwaukee, Wisconsin if you would like to meet with me in person. I am also able to work with you through Skype or over the phone. Once you find your passion we will work together to help you set goals to make your dreams become reality! As an Emotion Code Practitioner, I can help you to identify trapped emotions that may be holding you back from following your intuition and internal guidance. Trapped emotions are what prevent us from finding our wholesome junction. They block us from the life force directing our life. And so when we enter into relationships we cannot join with another person in a wholesome way. How can you join with another when you have energy blocking you from your true self? I am able to do the Emotion Code work with you in person or provide remote Milwaukee energy healer services via Skype or over the phone. Bring change to your life today through personal life coaching and by removing your trapped emotions. I am located in Milwaukee, right off of the freeway. I can make live visits in Wisconsin including Waukesha, Madison, Pewaukee, and Racine. I provide remote services via Skype or by phone, if you live outside the metro area. Contact Wholesome Junction today by calling 262-442-4226.